´The early bird catches the worm´! 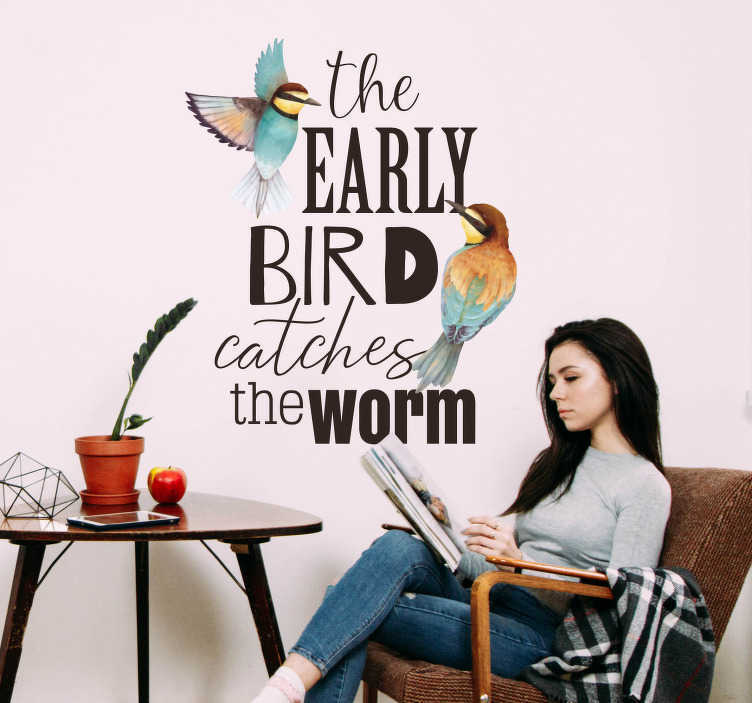 Oh what a true quote and it is the subject of this superbly gorgeous bird sticker! Ideal living room decor for those who want to promote the benefits of being early, while also promoting the benefits of an absolutely brilliant looking wall!